It's been a long time since I've done a Current Drugstore Favourites post so let's get straight into it! This is such a beautiful matte berry pink for the Autumn/Winter months. It's got a hint of mauve which makes it easier to wear than a straight up berry and if you sheer it out, it leaves a lovely stain. The formula is just perfect because it lasts all day without drying out the lips. If you've seen any of my recent contouring and highlighting posts, then you'll know how much I love this palette. I've been particularly loving the yellow toned powder which is perfect for under the eyes. It instantly brightens the area and makes me look more awake. I must be on a contouring kick! Again, if you read my contouring post you'll have seen this one featured. The contour shade is what I've been adoring because it's very subtle and the formula means you can't go wrong with it; it's that easy to blend. This is the perfect little quad because you've got everything you need. You can easily do a subtle day look or amp it up for the evening. The formula is simply beautiful, especially the matte shades which are some of the best at the drugstore. 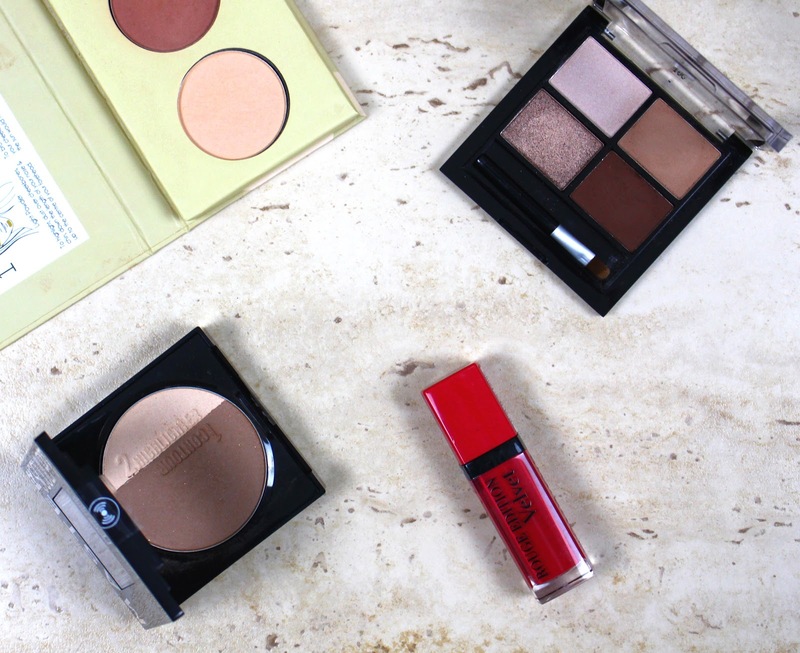 What drugstore beauty products have you been loving lately? The Maybelline Contour Kit looks amazing! It's a really great little palette!